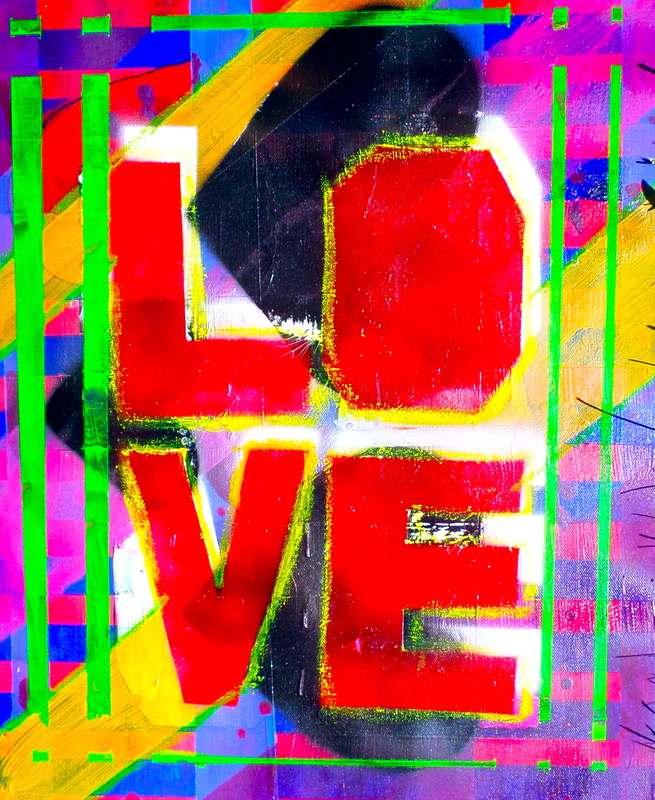 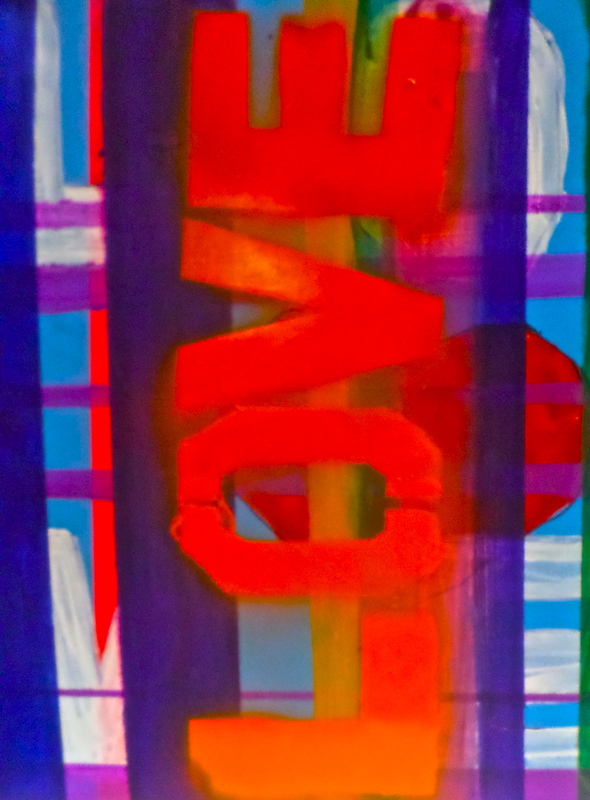 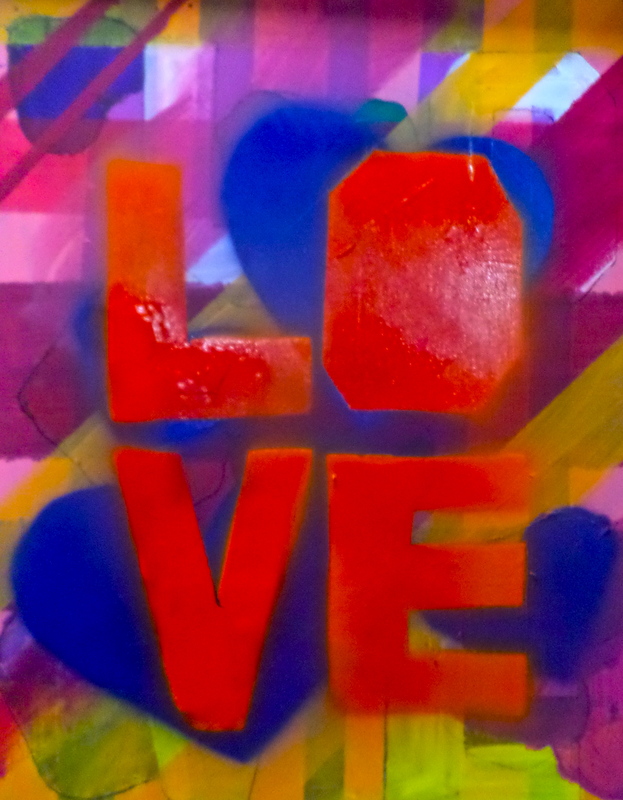 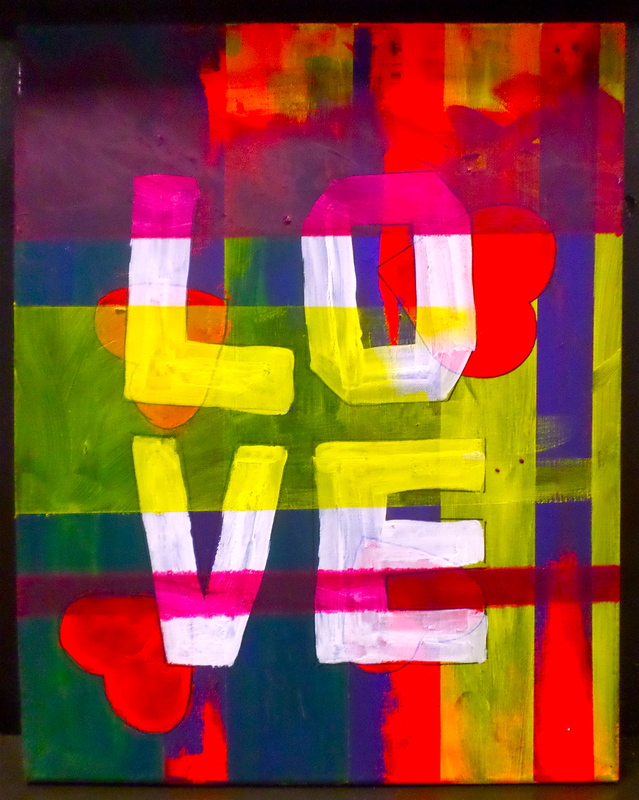 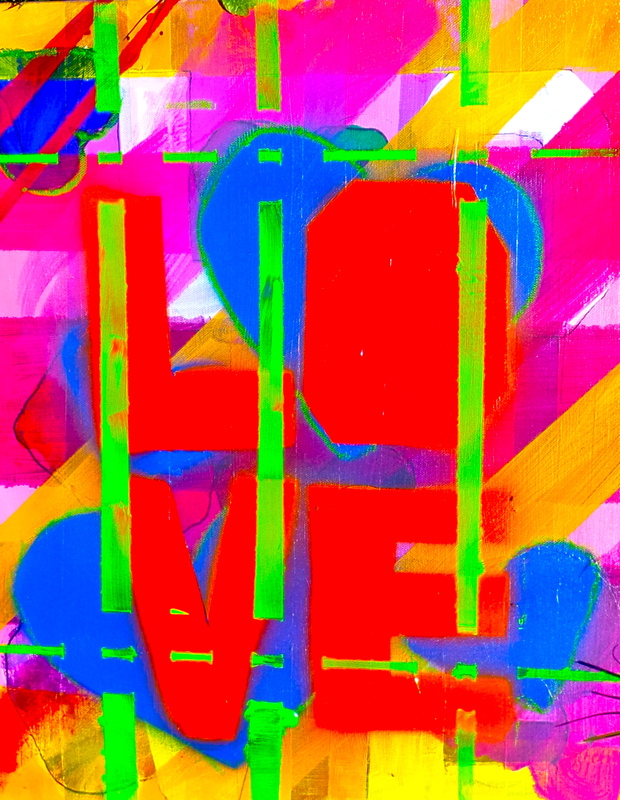 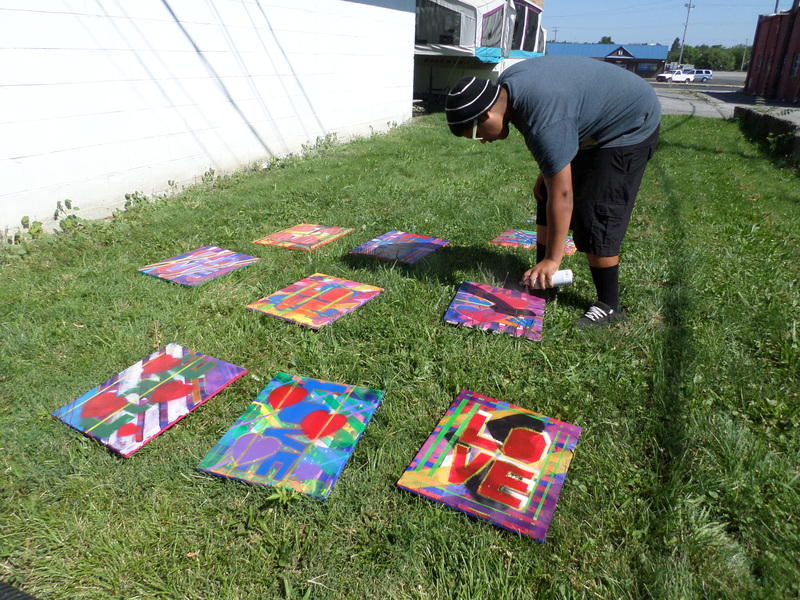 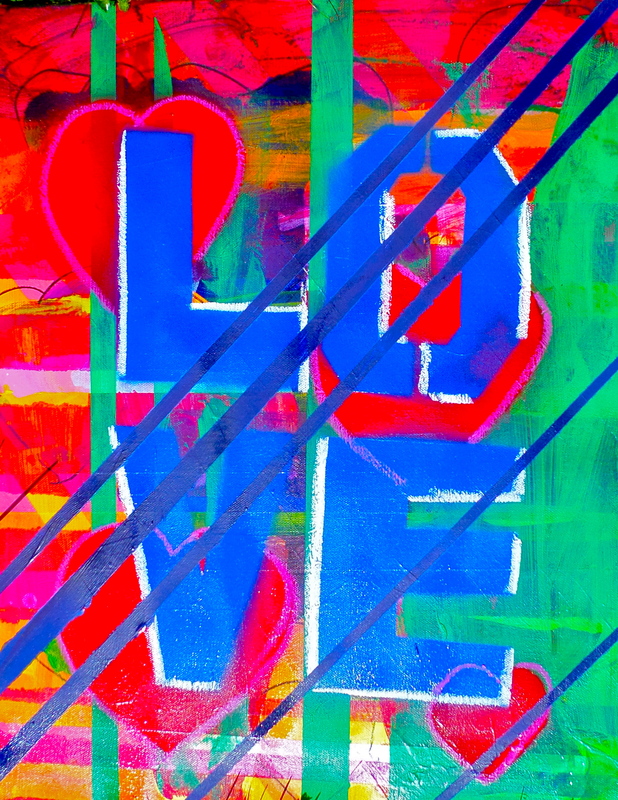 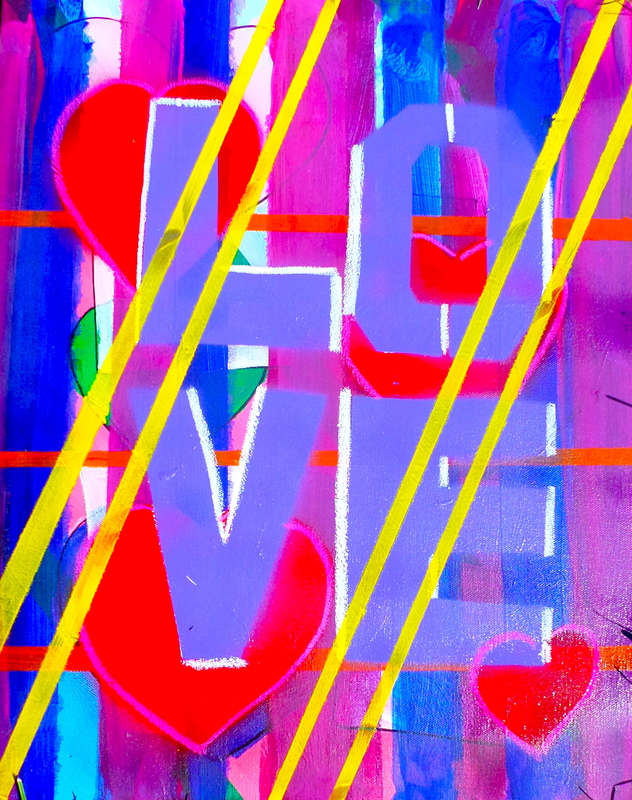 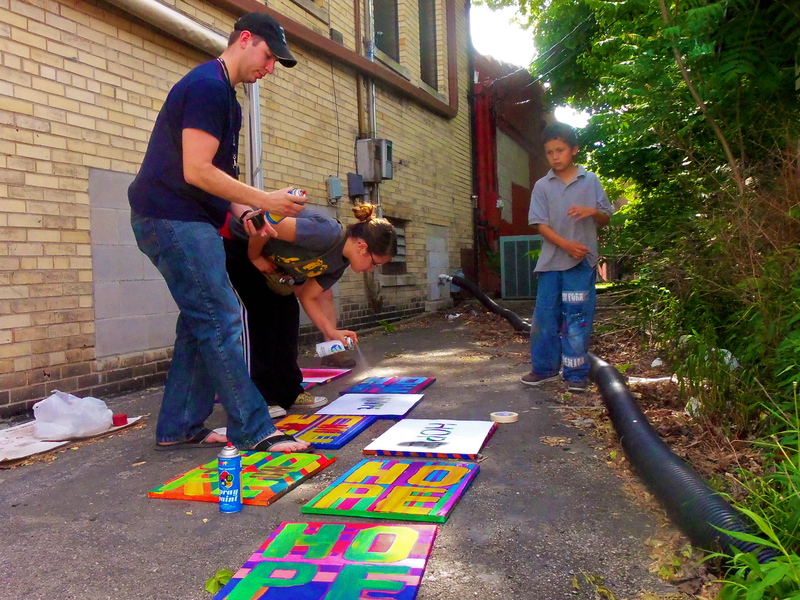 Students at the Willard Hope Center completed their “Love”paintings this summer. 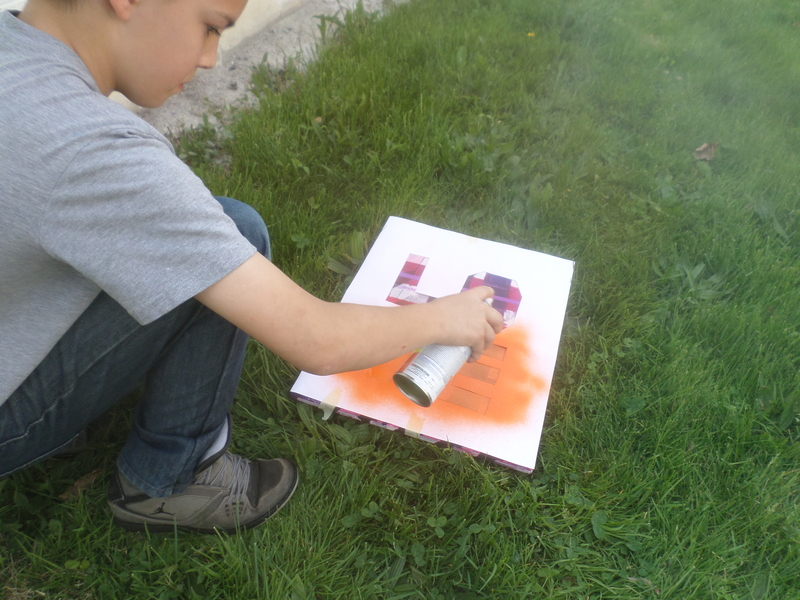 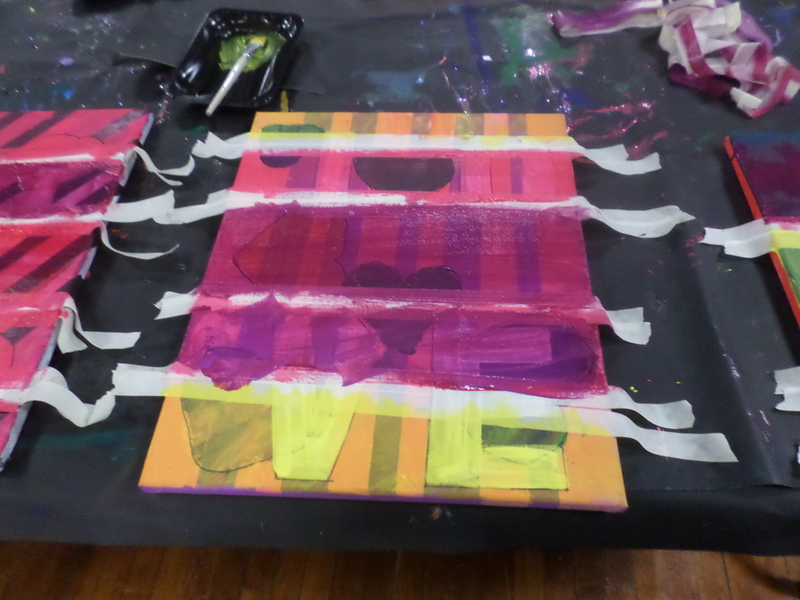 The last step to this fun project was to add some clear gloss to the paintings to add a shine. 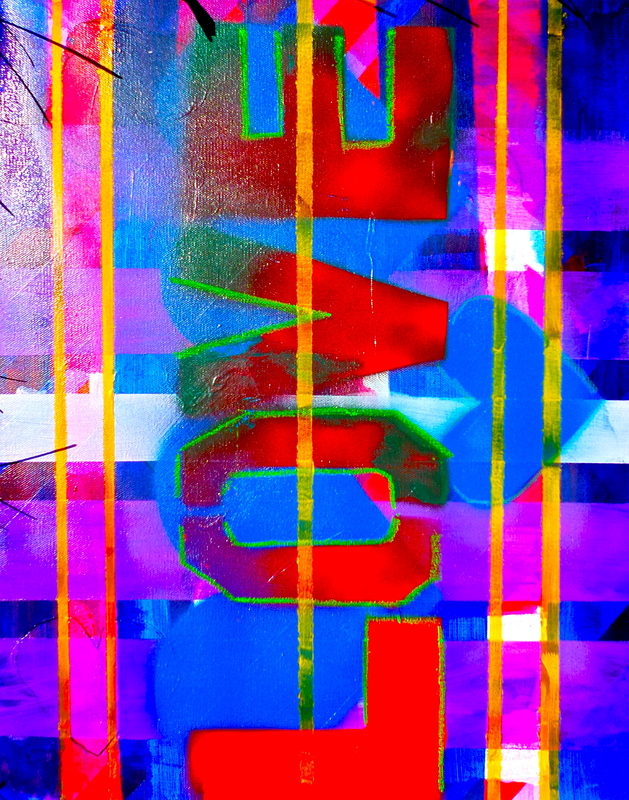 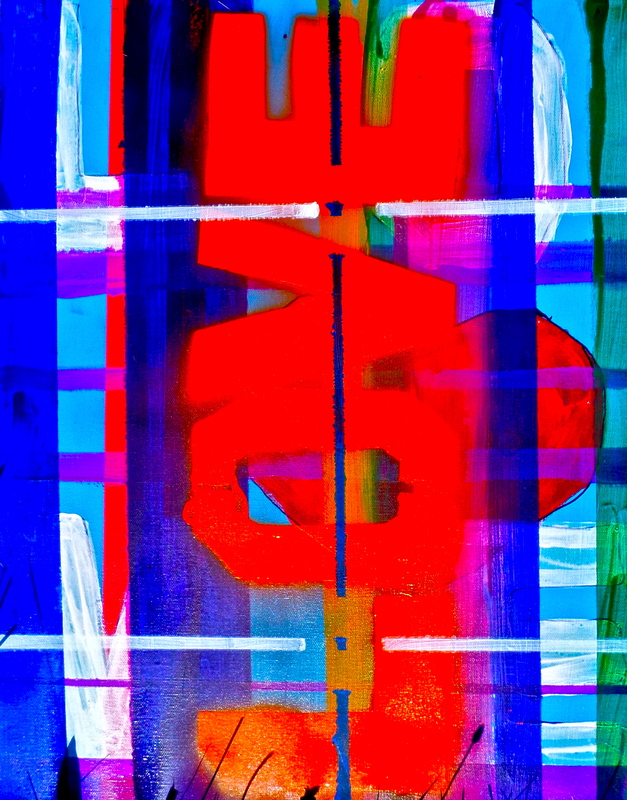 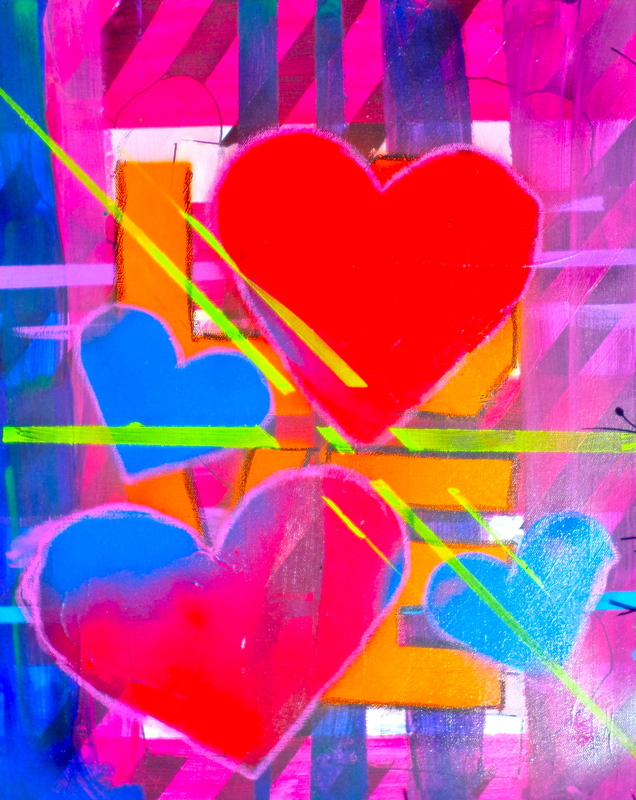 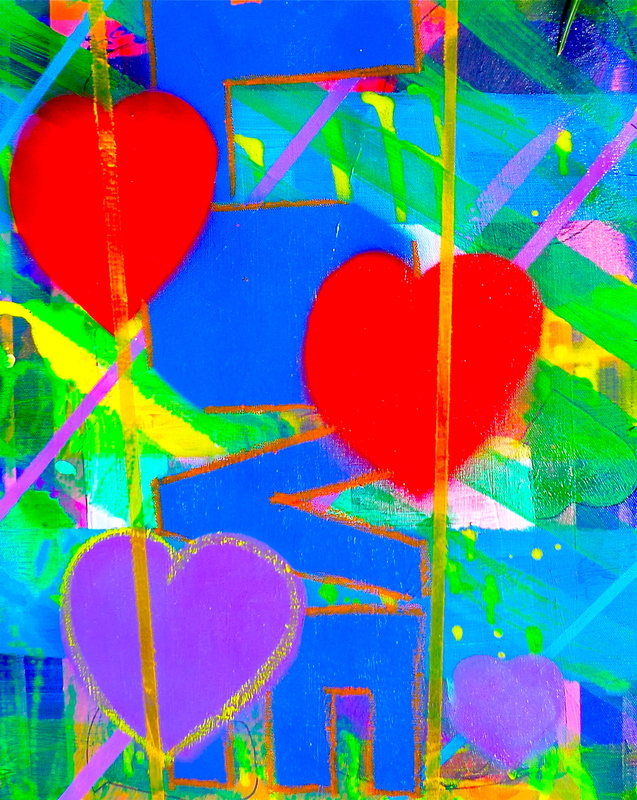 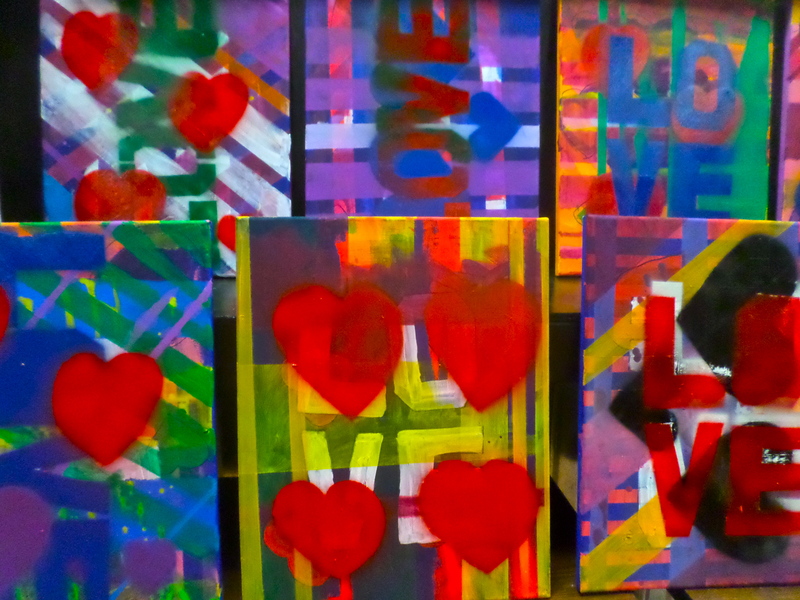 The paintings will be sold in a silent auction at the 2015 Hope Fest on August 16. 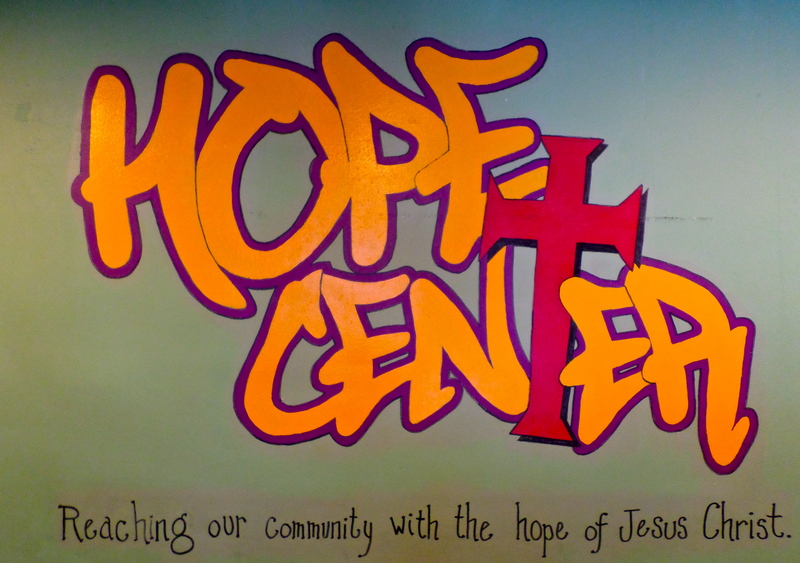 The funds raised from the sale of the students’ paintings will go to fund activities at the Hope Center. 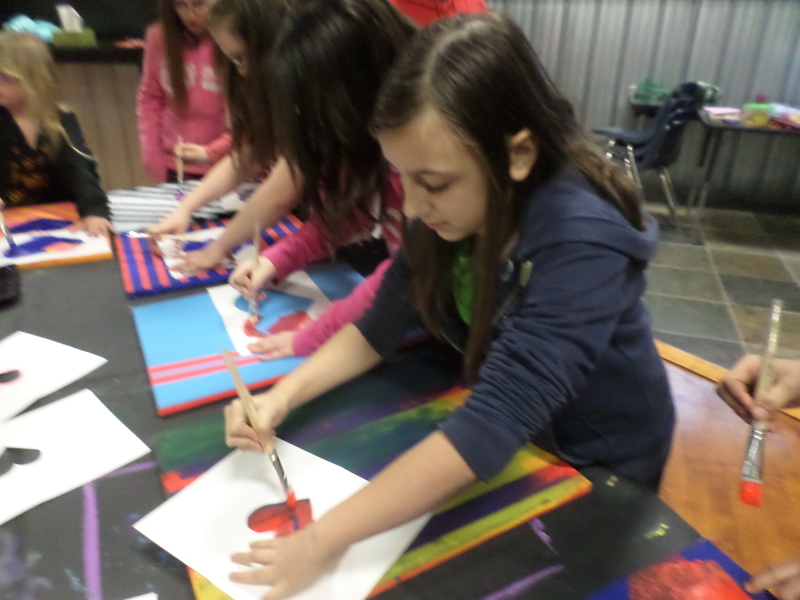 The students did an excellent job with their mixed media paintings. 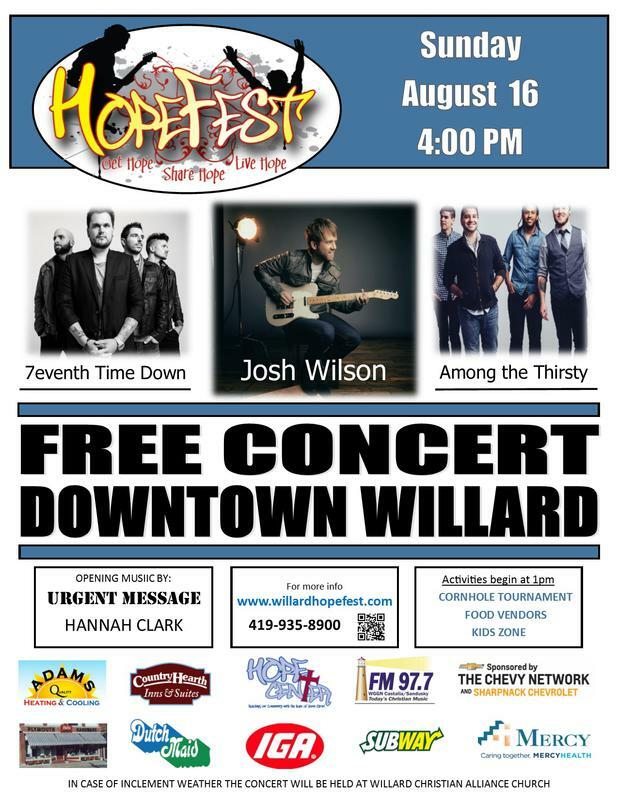 I hope the community will come and support the kids through this free concert event! 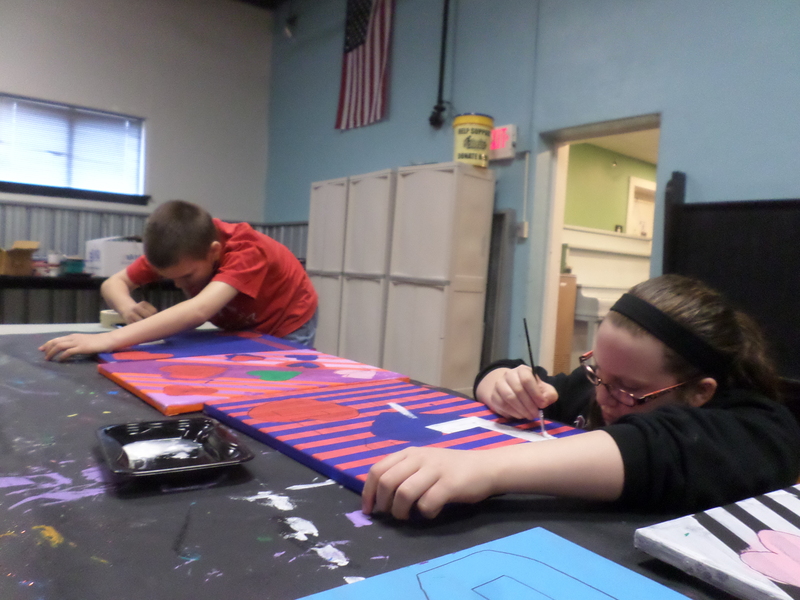 Here are some more examples of the students’ cooperative work. 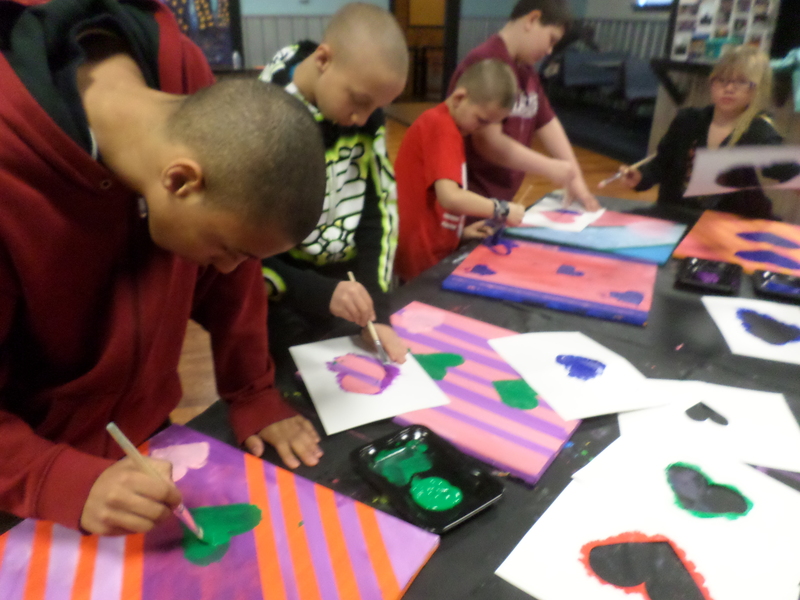 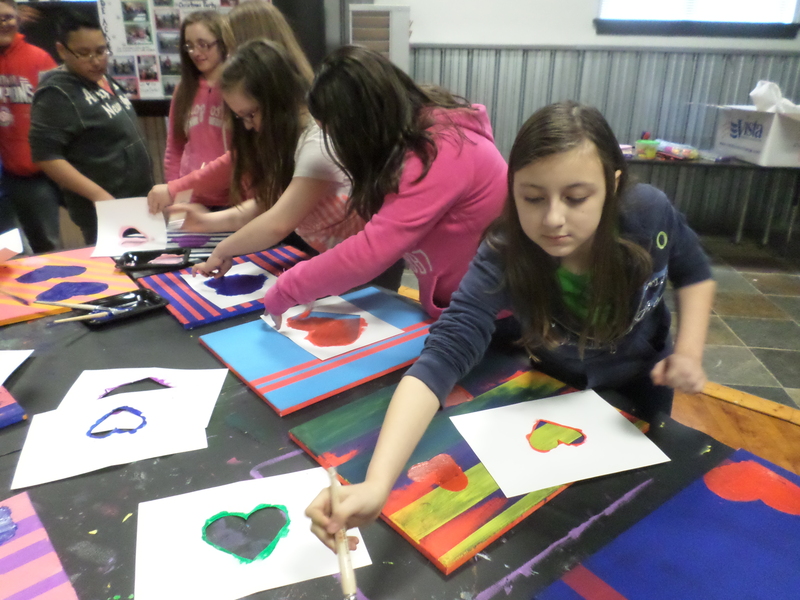 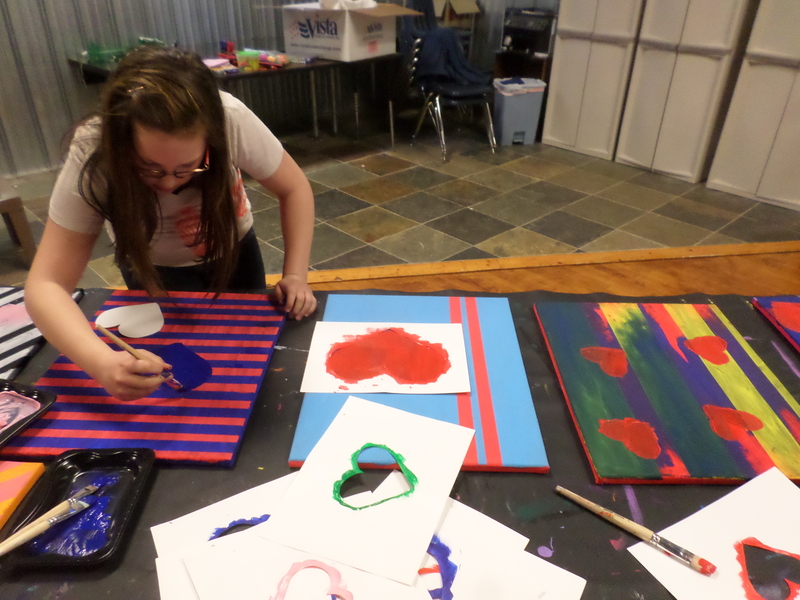 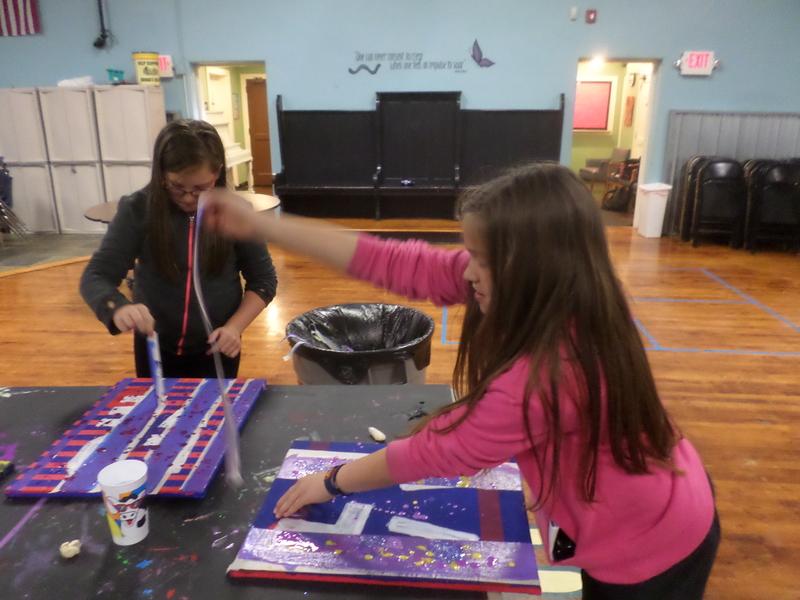 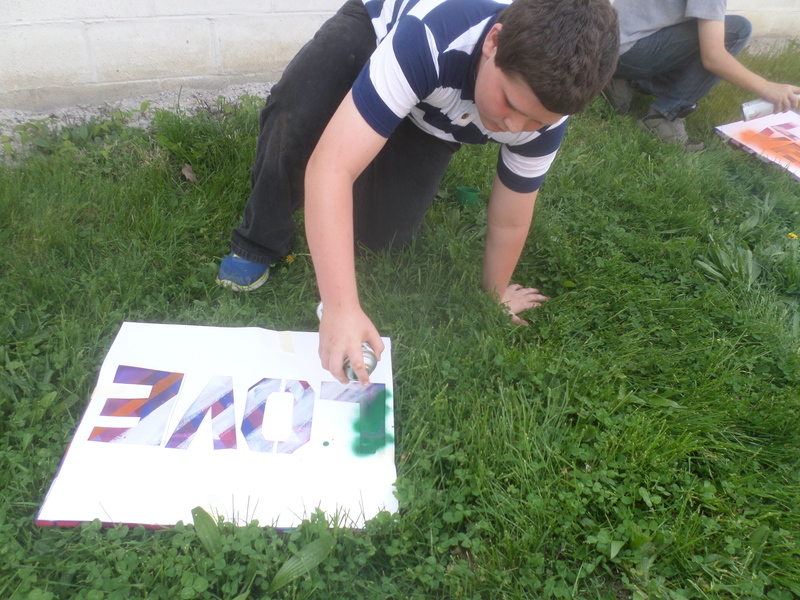 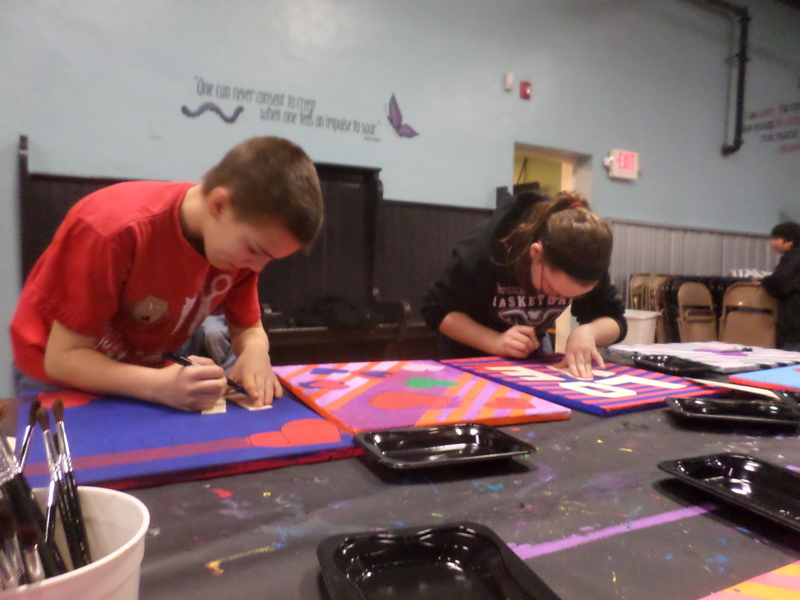 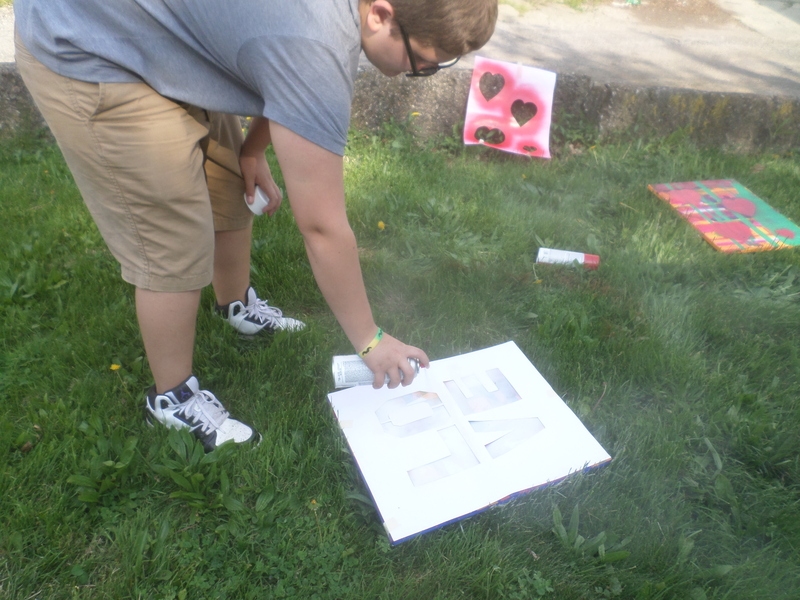 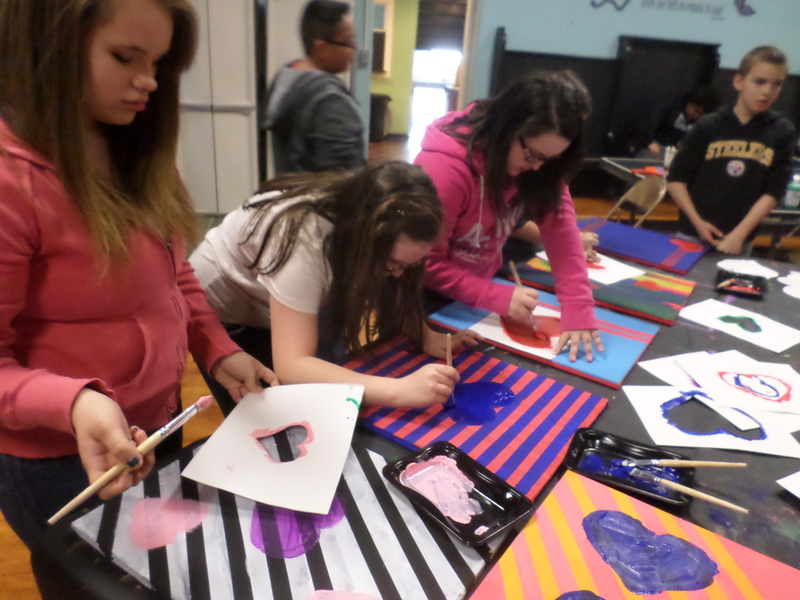 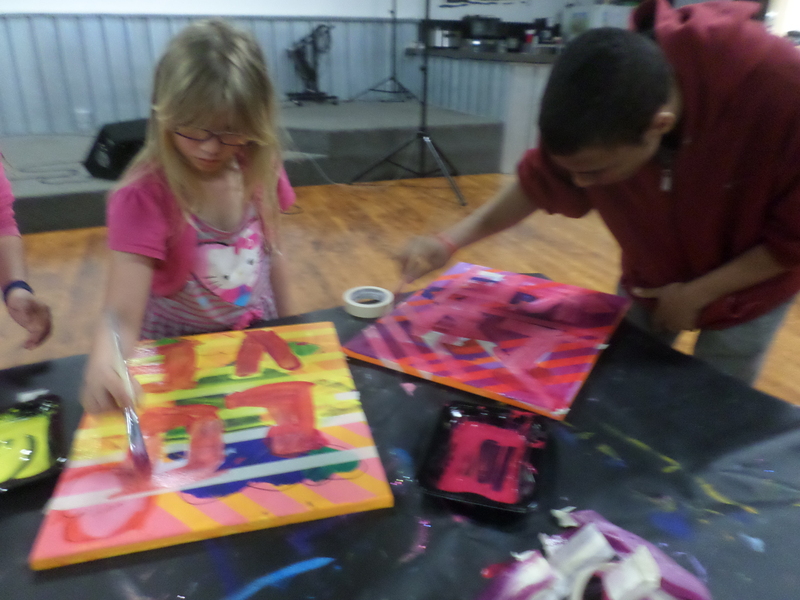 Students at the Willard Hope Center are making progress on their painting projects based on the theme of “Love”. 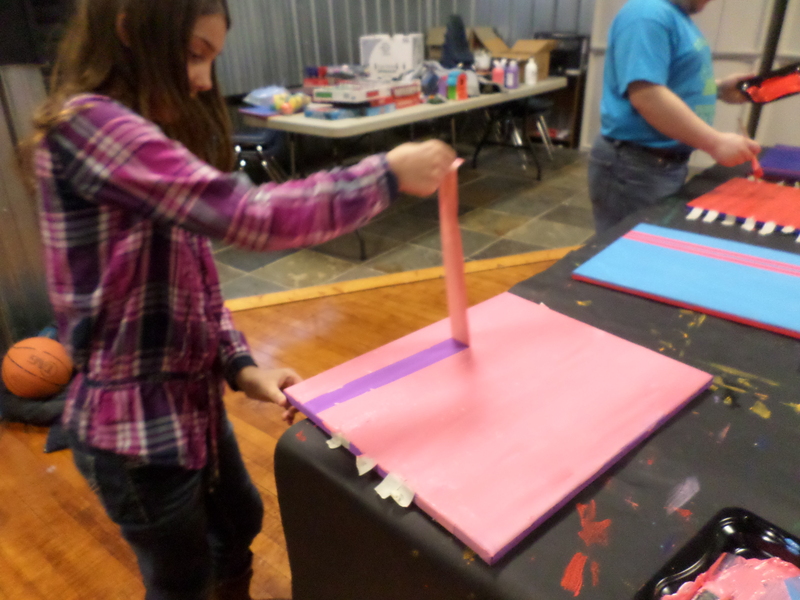 After taping out areas to be painted, everyone picked colors they wanted to use. 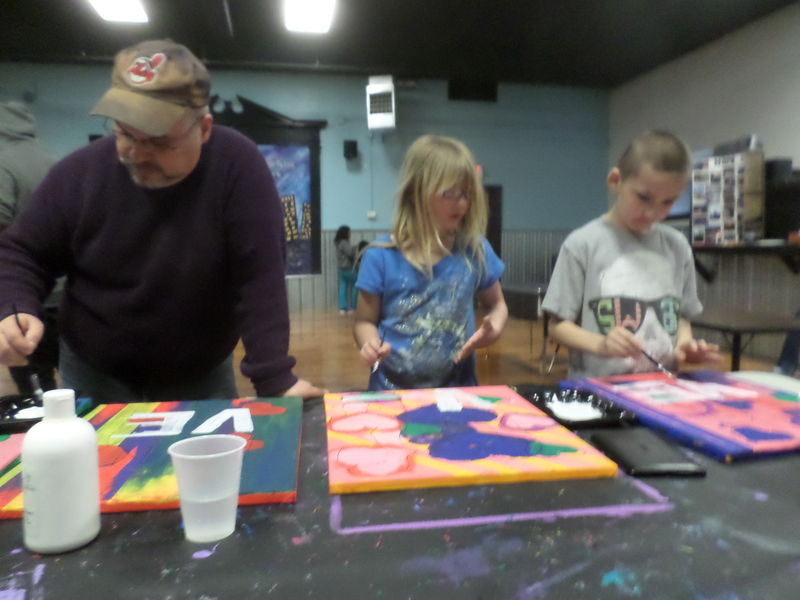 Everyone was very focused on the painting process. 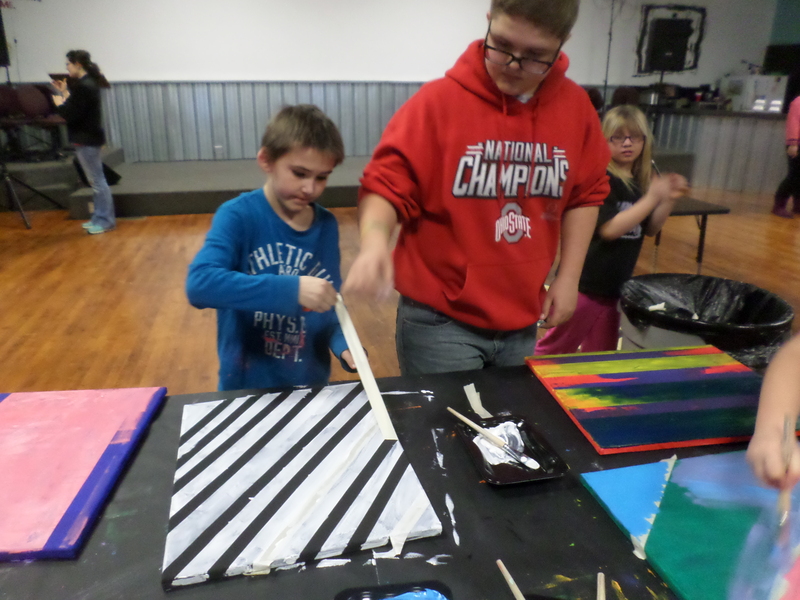 Removing the tape and seeing the fruits of their work. 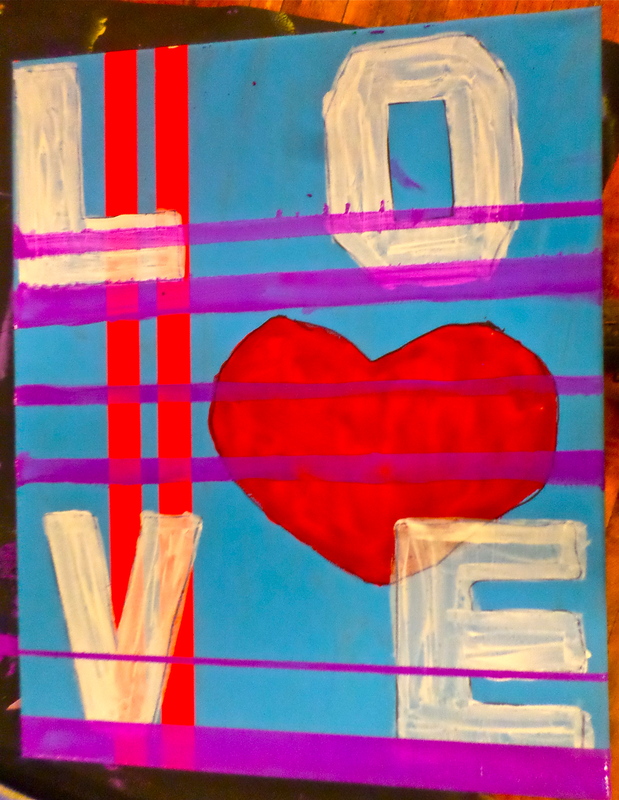 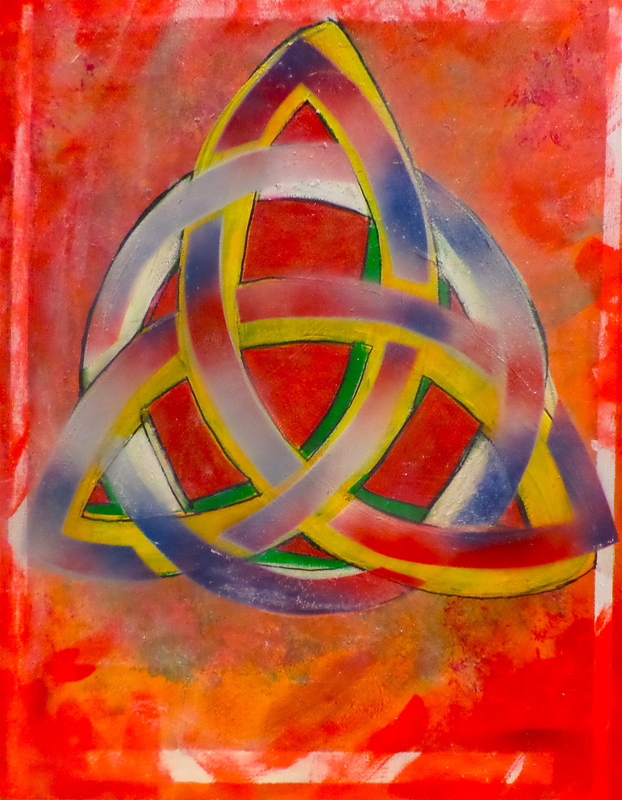 One of the paintings created last year with the students at the Willard Hope Center we work with.. Students will begin their painting projects this week for the annual Hope Center auction. 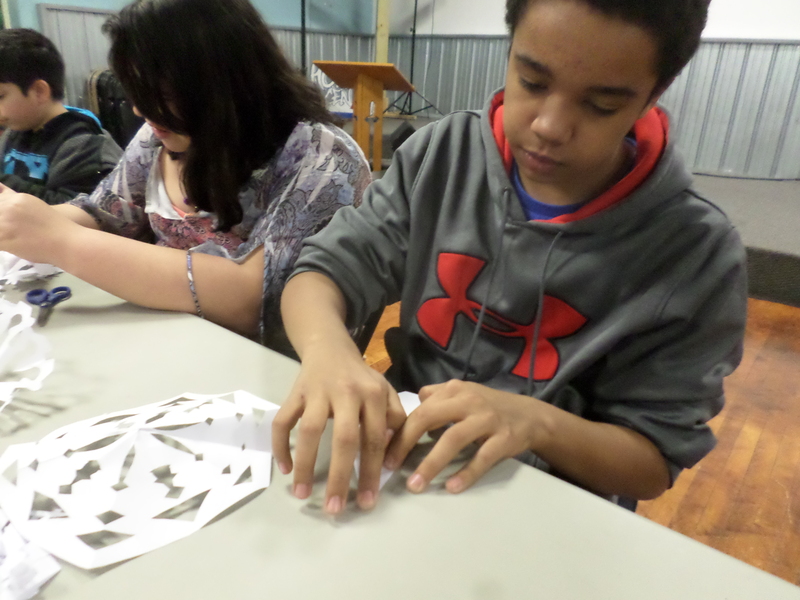 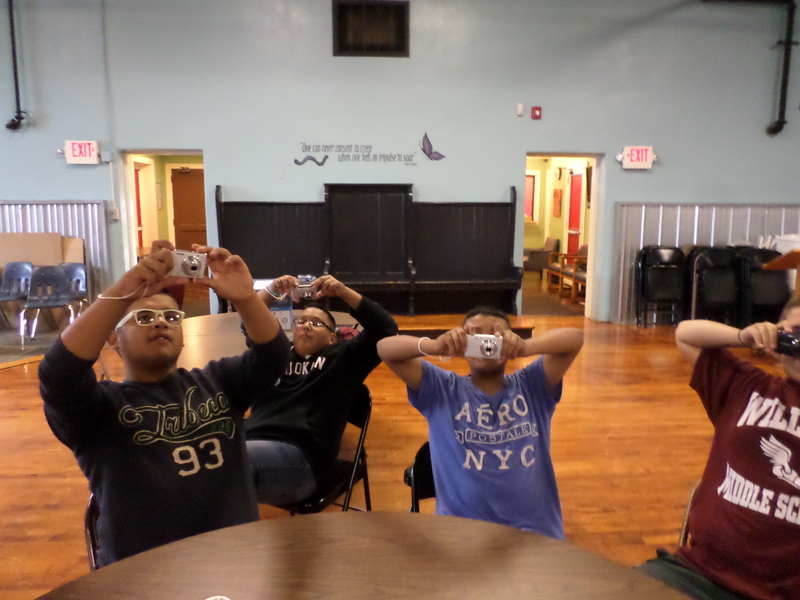 Students at the Willard Hope Center had fun creating snowflakes. 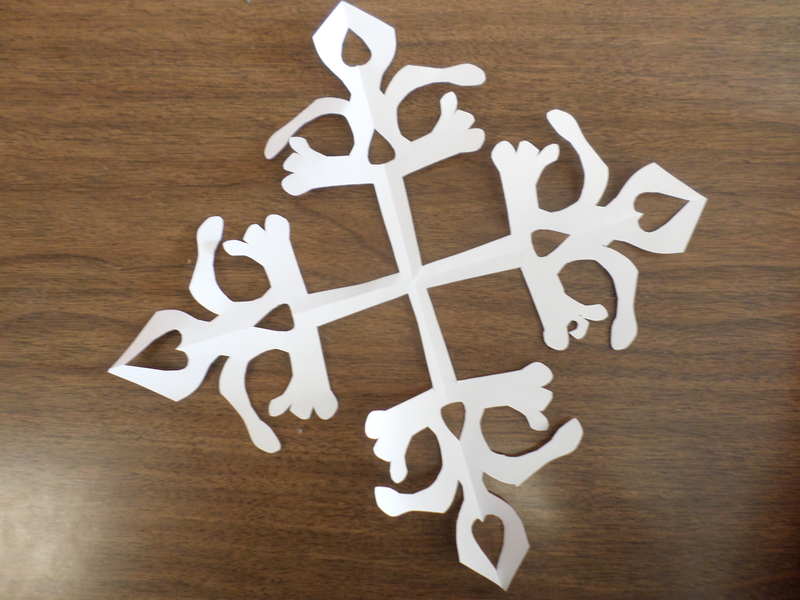 Everyone learned how to create 4-point and 6-point snowflakes. 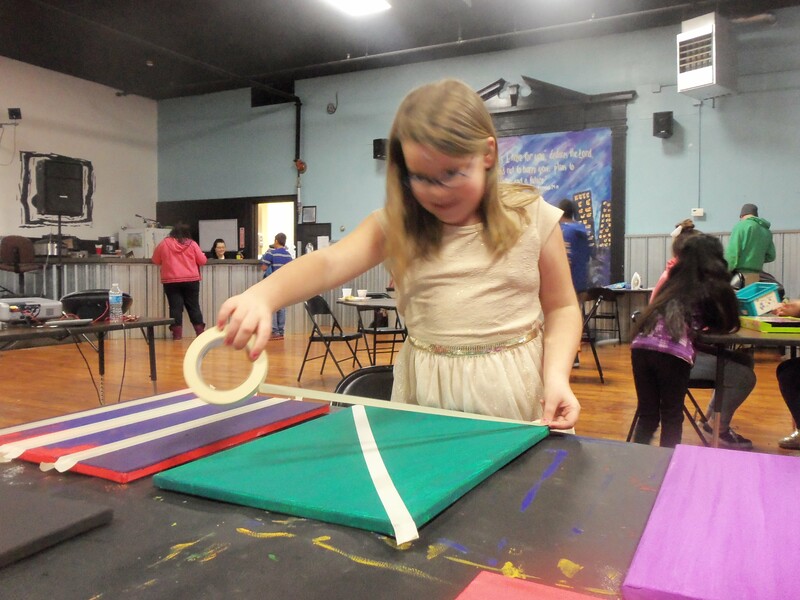 Everyone worked at creating many sizes of snowflakes. 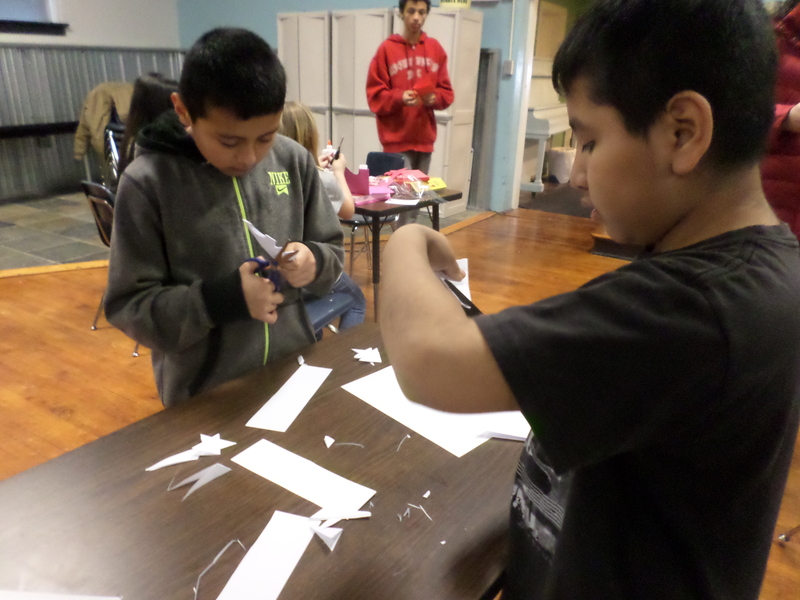 Students learned that this process is called kirigami. 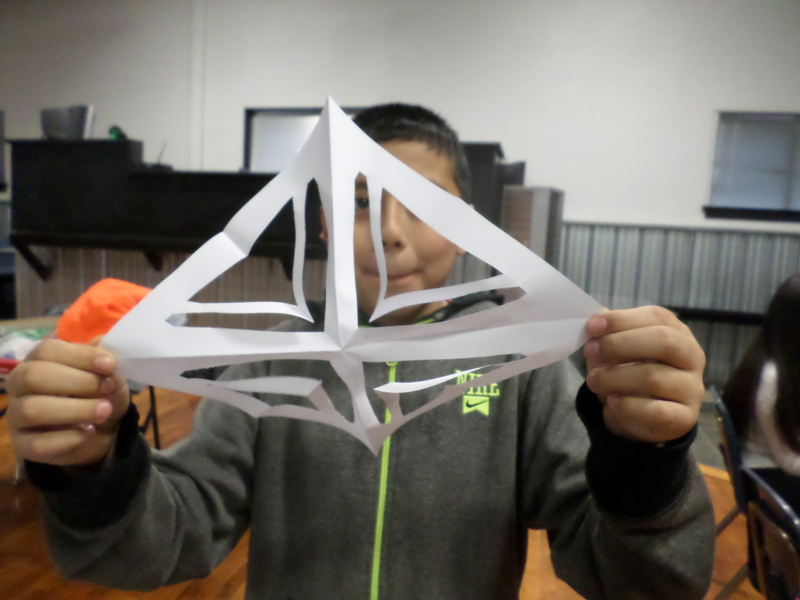 Kirigami are usually symmetrical, such as snowflakes and is a variation of origami that includes cutting of the paper rather than solely folding the paper as is the case with origami. 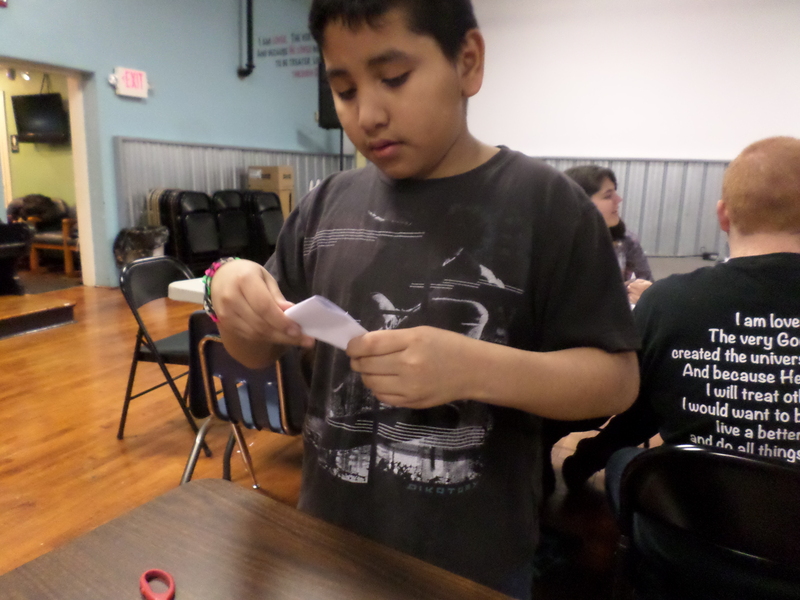 Typically, kirigami starts with a folded base, which is then cut; cuts are then opened and flattened to make the finished kirigami. 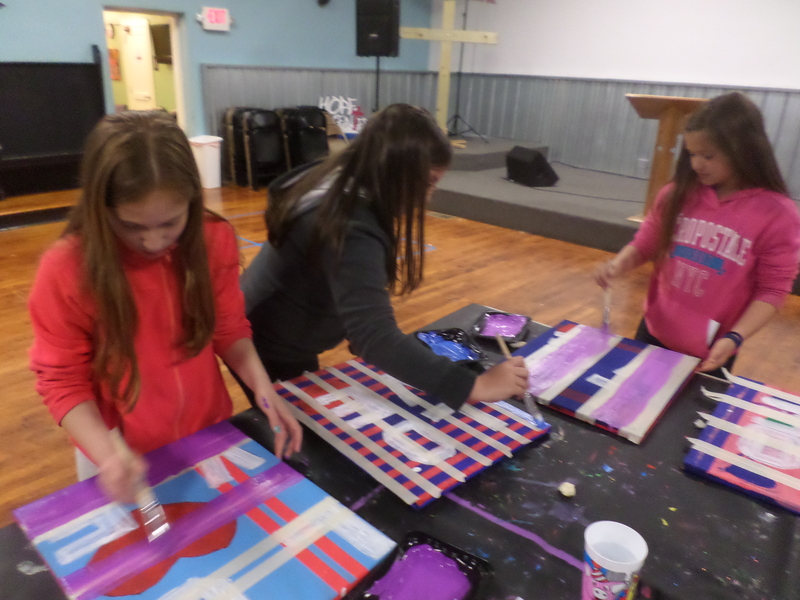 All were proud of their creations. 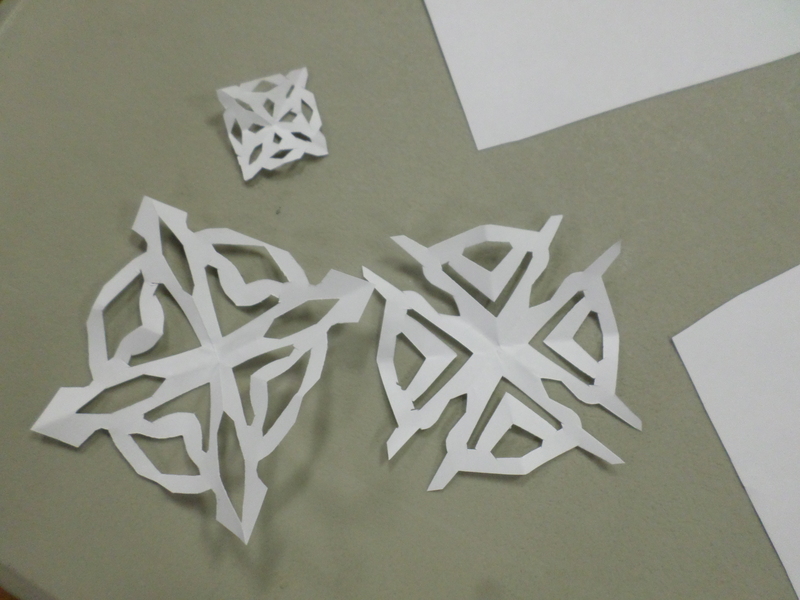 Here are some examples of the snowflakes made at the Hope Center. 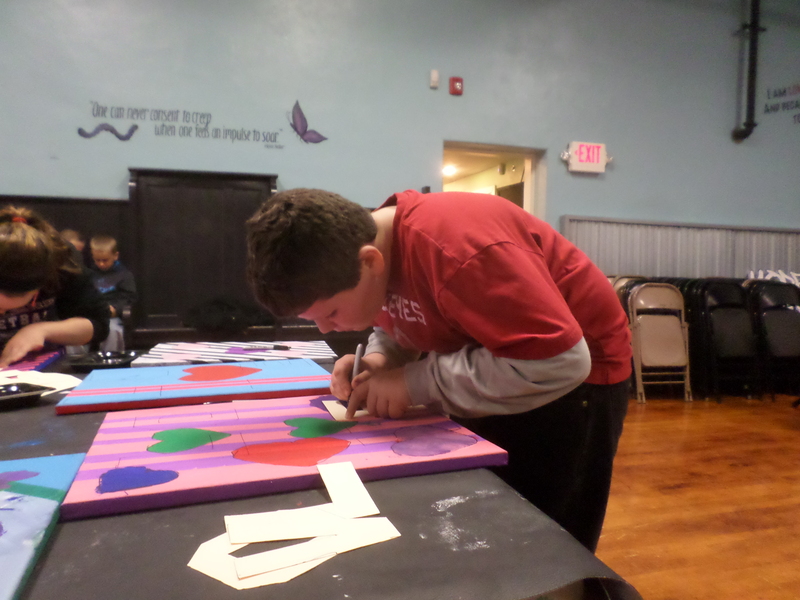 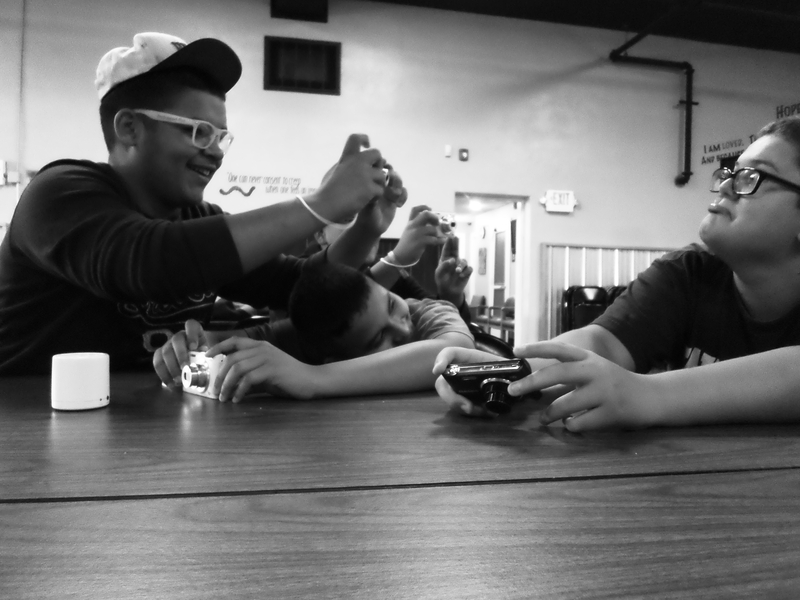 One of our on-going projects is working with students at the Willard Hope Center. 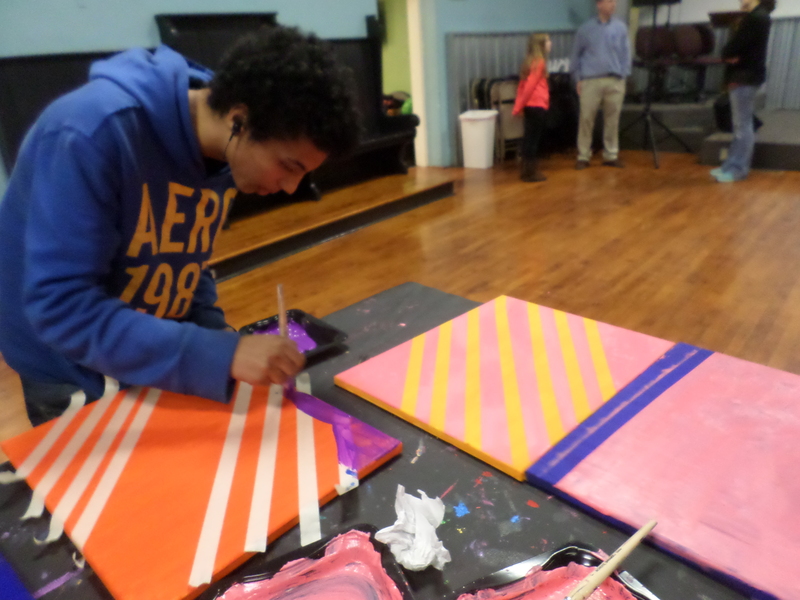 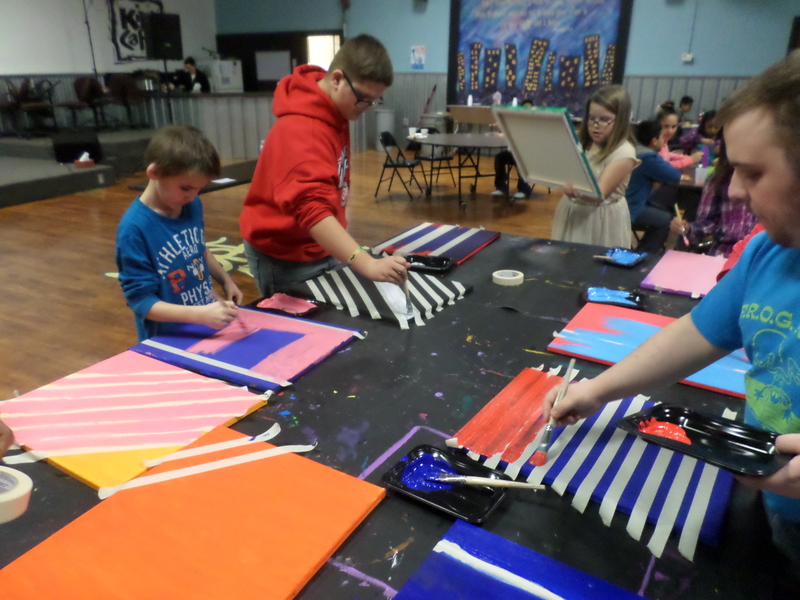 It’s a lot of fun to give the students a creative outlet that benefits our whole community.